At Shore Cliff Hotel, we encourage every guest to choose their own adventure during their stay in Pismo Beach! From kayaking through sea caves, to hikes through Pismo Preserve, there is an activity for every type of traveler. With comfortable, oceanfront guest rooms and a beautiful cliffside property, Shore Cliff Hotel is proud to be your adventure headquarters while #CentralCoasting! 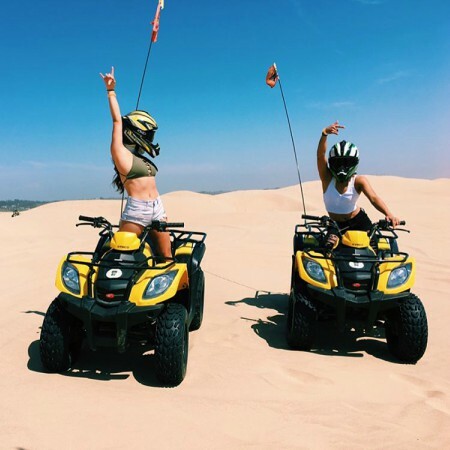 This week Shore Cliff Hotel dares you to try something new when you visit the Central Coast, like riding ATVs through the Oceano Sand Dunes! 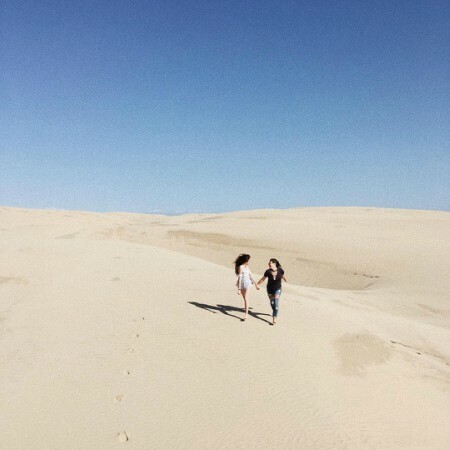 The Oceano Sand Dunes are perfect for a day of fun in the sun! This outdoor playground is known for its off-highway activities, like horseback riding, swimming, camping, and of course, riding ATVs! As the the most extensive coastal dunes remaining in California, this spot is a must-see during your stay at Shore Cliff Hotel! The Oceano Sand Dunes aren’t just an amazing spot for activities today, but they also hold a rich history of the past inhabitants in the Central Coast. Early Spanish maritime explorers sailing up the California coast notices Native American settlements in the dunes. During the 1930s and the 1940s, the dunes were known to be home to groups of eccentric travelers called “Dunites.” These mystics, artists, writers, and hermits published magazines describing the creative energy in the dunes. 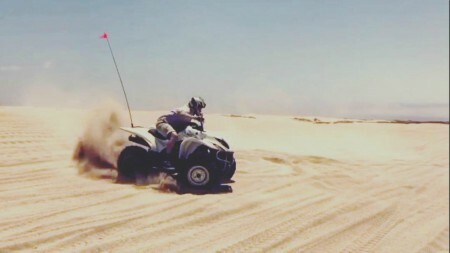 ATV riding in the dunes is a thrill that you can’t miss! Miles and miles of towering sand dunes are constantly changing and moving due to prevailing winds, meaning there is something new to discover during every trip. While racing through the sand and climbing over hills, you will feel like one of those original explorers who visited the dunes. There are tons of rental companies that make it easy to try out this fun activity for the first time! They have everything you need for a day full of riding and tons of tips to make your first experience perfect. You will love spending hours jumping through the dunes and won’t be able to stay away for another trip! Shore Cliff Hotel dares you to put on your racing gear and ride out for the experience of a lifetime!